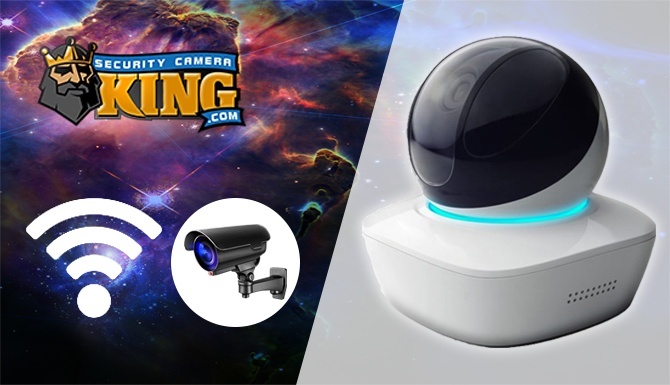 The wireless pan and tilt surveillance camera is one of the most versatile cameras on the market today. Not only does it offer the standard electronic features of most other cameras, but the PT model can do just that--Pan and Tilt. 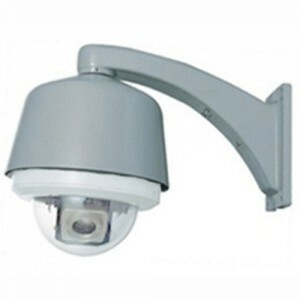 The wireless pan and tilt surveillance camera is one of the most versatile cameras on the market today. Not only does it offer the standard electronic features of most other cameras, but the PT model can do just that–Pan and Tilt. What is Pan-Tilt? Panning is the ability of the camera to move about a horizontal plane; in other words the camera can turn from left to right and/or all the way around in a circle. Tilting refers to the cameras ability to move about a vertical plane, in other words the camera can move up and down. With no walls, poles, or mounts to impede the view, a pan tilt camera can easily maneuver its lens in any position equal or greater to that of an area covering 1/2 sphere. Many of these types of cameras also have the ability to “zoom-in” on objects in their field of view. When these three functions exist together on the camera it is then usually referenced as a Pant-Tilt-Zoom or PTZ camera. Wireless PT cameras have the same capability but they have the added benefit of not requiring any video transmission cables. Instead they have an on-board transmitter and antenna that send the signal to a designated receiver, which in-turn is connected to a Digital Video Recorder or DVR. For the remainder of this article, we’ll take a closer look at wireless pan and tilt cameras and how they work. We’ll also consider some of the pros and cons of a wireless pan and tilt camera. Most wireless pan and tilt cameras have miniature motors that drive the camera and lens through their PT functions. These are generally the best type of PT cameras. Some cameras have something called “digital PT” which is an electronic based feature that doesn’t really physically move the camera. Of course, digital PT has many more limitations than regular PT. Many wireless pan and tilt cameras have the ability to detect motion. When a PT camera can detect motion, it can be used to track or follow objects. This maybe most useful when the cameras are used as parking lot monitors. Using object tracking or following, the cameras can help keep track of the vehicles that come and go as well as the people. A wireless pan and tilt camera usually works in one of two separate ways. The first is wireless transmission to a receiver and the other involves using WiFi and the Internet. Many cameras are called “wireless” cameras when they do not need a video transmission cable connection. These cameras normally have a built-in transmitter/receiver and antenna. They broadcast their video image as well as receive pan and tilt commands via radio frequency remote control. They work in tandem with a corresponding receiver/transmitter that receives the video data and sends the PT commands. The benefit to this type of camera is that it is not necessary to run a video transmission cable between the camera and the DVR. That means installation can be quicker and easier and the camera has much more versatility in regard to placement. A disadvantage to using a wireless pan and tilt camera is that although the video transmission may be wireless, the camera still needs a power supply. Batteries are usually not the answer for this type of camera because not only does the video capture process require power, but so does the pan and tilt (motors) movements. A second type of wireless pan and tilt camera makes use of an available broadband WiFi connection. Once an appropriate connection is established, this camera maybe monitored, recorded, and controlled using the Internet as the vehicle for networking. All of these functions can be controlled using a personal computer and standard Internet browser (such as Internet Explorer) or even by an application made for a 3G or 4G smartphone. Some of these cameras have built in motion detection. This allows for a feature normally referred to as “Track and Follow” where the camera can automatically follow and object such as a person or an automobile. 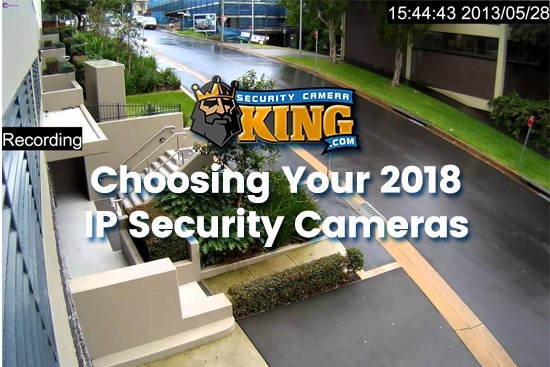 Often times commercial uses of security cameras include coverage of a parking lot. A wireless pan and tilt camera with track and follow may easily replace the need for 3 or more stationary cameras. If you need more information about a wireless pan and tilt camera contact one of our security experts today and they will be glad to help! 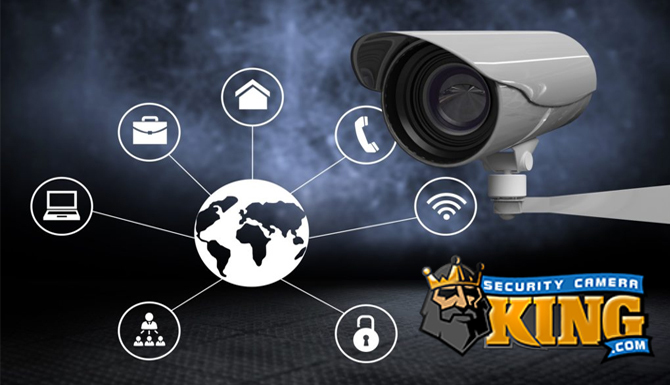 Why Purchase a Wireless Camera Security System?